How To Use Twitter To Promote Your Business And Generate Leads? How Do You Use Twitter To Promote Your Business? Are you wondering if you can use twitter to grow your business? Social media is one of the fastest growing mediums which can be leveraged by new and existing businesses. Twitter is one of the most popular social media platforms with numerous benefits for businesses including free publicity. 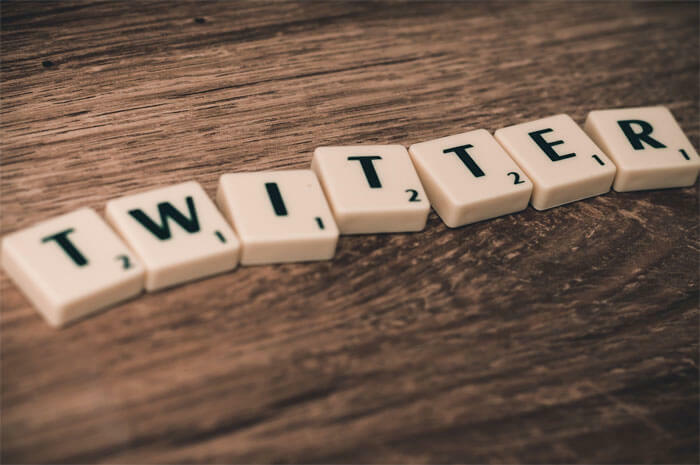 Is Twitter the right choice for your business? How do you promote your business using Twitter? Twitter has been deemed a very powerful marketing tool provided you know how to use it. It has been found that the US has the largest number of Twitter users. This is good news for businesses who are considering Twitter to promote their business. The Twitter trend is moving towards leveraging the platform for online advertising and creating brand awareness. The internet offers numerous ways in which a business can gain free online publicity. One of the most common channels for promoting your business online is social media. It is free and reaches a large number of people from all walks of life. Other than Twitter we have Facebook, Pinterest, LinkedIn, Tumblr etc. which are other common social media platforms. Each one of these platforms has something unique to offer. Click Here Let's have a conversation! We are going to look at how you can use Twitter to grow your business. This involves defining a Twitter marketing strategy. Your campaign should be aimed at specific targeted Twitter followers. We give you a round up on how Twitter can boost your digital marketing experience. Many businesses are not sure if Twitter is the right channel for them to grow their business. They wonder if they can actually use Twitter for lead generation and growing their customer base. Like other social media platforms, Twitter is free. A tweet is similar to a status update on Facebook, LinkedIn or Google+. Twitter does not filter your target audience, unlike some social media platforms. When you post a tweet all your targeted Twitter followers will see it. Twitter is simple, and it is easy to keep your followers engaged. A good Twitter Marketing Strategy should encourage followers to retweet your tweet and spread the word. Irrespective of your line of business, Twitter can help your business to gain publicity. A business can also use Twitter for lead generation and increasing the number of customers your business has. Twitter has the option of defining the region of your target audience. You can keep your tweets local or reach out to the whole state, or several states etc. It all depends on your predefined target area. To leverage Twitter to promote your business you need to build followers on Twitter. There are numerous techniques which can be used to build followers on Twitter. The best way is to start with your inner circle and move outward. Add your family, friends, and contact as followers. Encourage them to retweet your posts. To derive the maximum benefits of Twitter for business you need to create a Twitter marketing strategy and stick to it. Ensure that you have a list of relevant keywords which you can use in your tweets. It is amazing how 140 characters can make such a huge difference. Pictures and videos have a more lasting impact. Convert some of your messages to graphics. Your tweet content should be informational rather than promotional. Try and include the latest events and happenings in your tweets to build a larger number of followers. Some of the most effective ways to engage your audience on Twitter is by ensuring that your tweets are fresh and not repetitive information. It is important to ensure that your Twitter bio should have detailed information about your business. This will serve well in informing your new followers about what your business is about. Unlike other social media platforms, Twitter has an underlying factor of loyalty. If your marketing strategy is good, you can greatly benefit by using Twitter for lead generation. You can target specific sections of followers who are potential customers and build their interest. Twitter is all about followers. You need a large audience to effectively get your message out. Keep your promotions subtle. A great way for building followers on twitter is by starting a competition. Those with a higher number of retweets will get a discount coupon or a prize. People love competitions and it is a great way to get people active in promoting your business. It will also help you to build followers on Twitter Contact us to know more about Social Media Marketing Services sales@bluent.net +1 832 476 8459 Request for Services and get a larger audience. It is essential to tweet regularly and encourage your followers to respond. Following famous personalities and interacting with them can help increase your twitter followers. People are encouraged when they see your online activity. It is easy to start a twitter account and get some followers. But to use Twitter to grow your business you need to ensure that your content is engaging. It’s easy to say, but how do you engage your followers? Let your profile have some personality. Your profile picture should have a picture of you rather than a company logo. Seeing a face builds trust. Keep track of the latest happenings and be the first to tweet the news. Make it informative and avoid being vague. People will look forward to your tweets to keep them updated about current affairs. Tweet regularly at a consistent pace. Avoid long gaps between your tweets. If people don’t hear from you for several days they may forget about you. But don’t overdo it by sending out too many tweets in quick succession. Asking questions is a great way to engage your followers. Ensure that you are prompt in responding when you receive a query. This is good for Twitter for lead generation. Connecting with people on a personal level removes the interpersonal inhibitions. It helps to create a relationship and build followers on Twitter. Give credit to your passionate followers. Show your appreciation with a link to their public profile. Promote and recommend others and they will in turn help to promote you. Retweeting your content is recommended when the twitter stream moves fast. Many of your followers may have missed your tweet. Engaging your targeted Twitter followers is vital for growing your business. It is essential to give your followers something to look forward to in your tweets. This will define your Twitter marketing strategy. Using Twitter is quite easy. Devising a Twitter marketing strategy might require some professional help. Using hashtags in Twitter can be very beneficial. You can even define your own hashtags even though you won't own it, but it can help streamline the twitter search. Using hashtags will make it easier for people to find you. It is essential to understand the Twitter hashtag trends before you define a hashtag. Keeping in line with the flow can prove to be extremely beneficial for the publicity and growth of your business. BluEnt is a Digital Marketing Company which can help your business leverage the perks of Twitter. How Can A School Management App Be Beneficial?